Wn Tre06, Le Tréport 'Kahl-Berg', Stp. 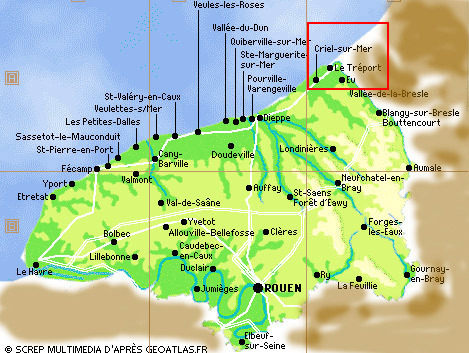 Gruppe Le Tréport, K.V.A. 'E1', Houte-Normandie. 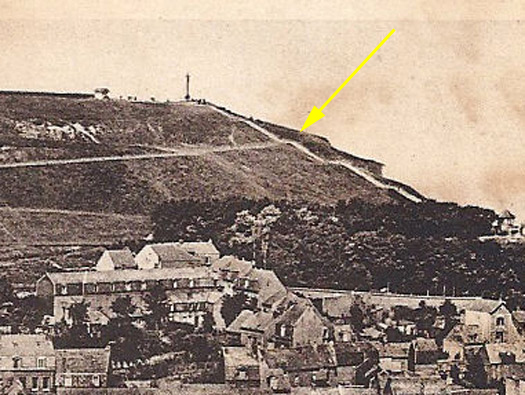 Wn Tre06, Le Tréport 'Kahl-Berg'. 1./H.K.A.R. 1252, Stab H.A.A 1148. 1 x Kabelschalstelle type C.
This is a Kabelschalstelle but I am not sure of its designation ?. R630 six embrasure turret bunker plan. It may have had a 20p7 turret. 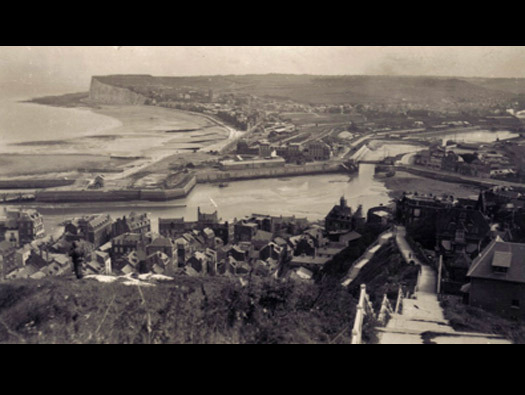 Take the Rue Flandres Dunkerque to the hairpin bend. This is the area of Tre06. 'Kahl-Berg'. 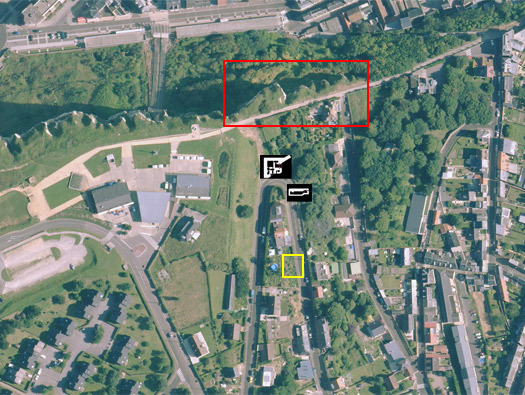 The red square is where several bunkers and a 7.5cm gun was situated and on the hairpin bend is an R630 machine gun casemate with an armoured plate. There is a Leitstand SK a special build and the yellow square a French shelter of some kind. Rue Flanders Dunkerque French shelter in the hill side.. The door into the shelter? I am afraid we bombed France too much and this may have been a shelter for the local families. Rue Flanders Dunkerque the hairpin bend. Leitstand is on the right and the R630 in front. I have no idea what this fire control post looked like inside. Hard to see through the wire. Leitstand SK the sort of view across the valley.. The steel bar arrowed is the close combat defence and entrance to the bunker. Showing where the metal plate would be. I believe its still in there. This bunker covers more the inland side as the flanking wall is on the seaward side. The metal plate at the front. A view down the steps where several other bunkers and the 7.5cm gun. Those same steps before the war. The arrow is where Tre06 is situated. Soldiers on the beach at Tréport. Mers-les-Bains across the harbour from Le Tréport..
An un spoilt sea front.